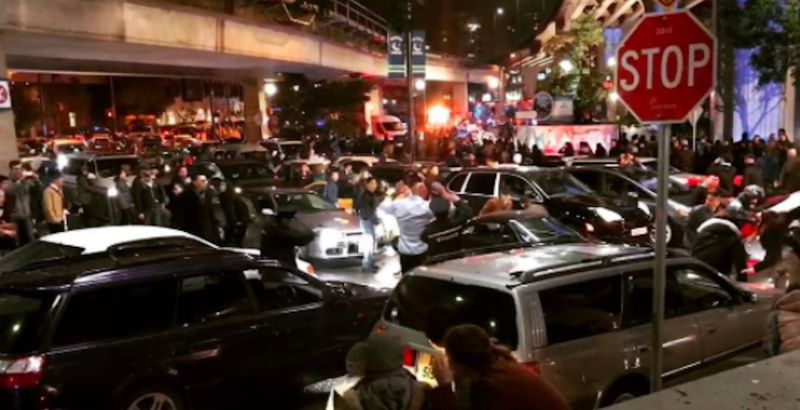 Downtown Vancouver’s viaducts turned into a Hong Kong neighbourhood recently… or at least, that’s what it looked like during the filming sequence for Dwayne ‘The Rock’ Johnson’s new blockbuster action flick, Skyscraper. The filming took place in downtown Vancouver, under the viaducts next to Rogers Arena. “Day 47 of 64 shooting our action thriller #SkyscraperMovie,” The Rock writes in an Instagram post, crediting all the work the extras did during the scene. In the film that’s been described as Die Hard in China, Johnson plays a former FBI Hostage Rescue Team leader who assesses security for skyscrapers, but finds himself framed when a new building in China dubbed ‘the safest in the world’ is set ablaze. Skyscraper is filming in Vancouver until November 17, and is set for a release in theatres in July 2018.